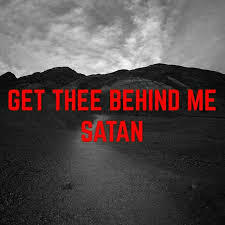 So does Jesus actually think that Peter is Satan, or has been taken over by Satan, or is this just a massive misunderstanding between friends? As usual, we cannot take a single verse from the Bible and build a doctrine around it, unless we know what was happening at the time! So lets look back, just a little and see what’s happening. Just previous in verse 21, Jesus had been explaining to His disciples that He must die soon, and then be raised from the dead in 3 days, as predicted in the Scriptures. Peter’s immediate reaction in verse 22 is a denial and rebuke to Jesus. Nobody could stand up against Jesus because He knew the truth. THAT is what earned the harsh words from Jesus to Peter. Jesus knew that Peter was in denial of what the future held, and if he didn’t believe and trust what Jesus was saying, then he must instead be being led by the enemy. Jesus then goes on to explain that His time is coming to an end on this earth, and that if His disciples want to continue then they must deny everything else and follow Him completely. And those words ring true today.